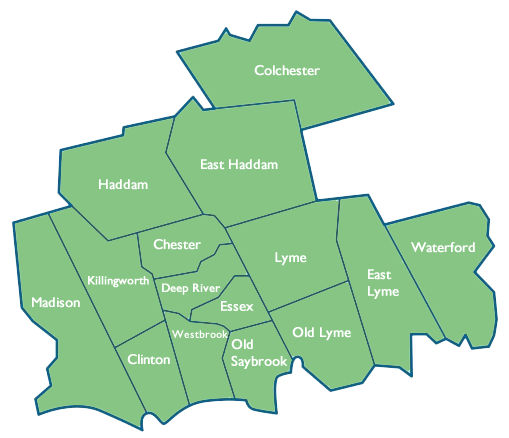 Located in the heart of the Lower River Valley in Connecticut, the Lower Valley Care Advocates provides private, non-medical homecare services to homes in the surrounding towns recommended by area residents, doctors, therapists, social workers and other medical professionals. View our service area map here. Lower Valley Care Advocates is licensed by the CT Department of Consumer Protection (CT DCP Registration # HCA.0000394) and is an affiliate of Visiting Nurses of the Lower Valley, an association providing medical care at home, with a 100 year history of service and voted as one of the top agencies by HomeCare Elite. Lower Valley Care Advocates was created to extend this care to the communities we serve, with private services of Homemakers, Companions, and Personal Care Attendants. We have a highly trained and experienced staff committed to helping you maximize your health. This affiliation provides our clients with reassurance and comprehensive care. Experienced visiting nurses are available to consult with LVCA staff on the development of the best care plan or to address medical issues that may arise if physical conditions change. Lower Valley Care Advocates maintains the highest standard for hiring and training our staff. We are dedicated to adding value to people’s lives; not just taking care of them. We share the values of our parent company, Visiting Nurses of the Lower Valley, who has served our community for nearly a century. LVCA prides itself on pairing our caregivers with the appropriate clients; both in personality and required skill level. During our orientation process, we take the time to get to know the strengths of our caregivers so they can put forth their very best. Our agency is unique in that we have an on-staff Licensed Practical Nurse to evaluate skills, provide support and offer regular continuing education and training to our caregiver staff. 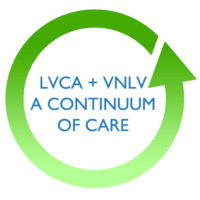 LVCA staff are also trained to identify potential eligibility for Medicare home care services provided by VNLV such as visiting nurses, physical, occupational or speech therapists, or medical social workers. I am so grateful for all that Marie and the other women have done to help with Mom’s recovery and care. Karen, daughter of Doris K.
My mother and myself would like to thank all of the girls who helped her since January, 2011. Mom said all of you were very nice and enjoyed talks, walks and help around her apartment. Thank you again to all. We won’t forget you! We were very fortunate to have been blessed with personnel who were so caring and efficient with the care of my wife for three years. You are a credit to your profession. Thank you. Ken, husband of Eileen W.
Mary was able to have her final wish granted thanks to your employee’s wonderful care. She enjoyed Maria G. and Vanssa’s time with her. Lubica was with her at the beginning and the end of her confinement and, as a result of her loving care, enabled her to go in peace. I want to thank you from the bottom of my heart because had it not been for your swift work putting it together with such short notice, I would not have been able to grant my mom’s wish to come home. All the aides were kind, courteous, attentive, very capable and so very caring! I will, no doubt, highly recommend your agency to anyone who needs homecare. Everything you did meant the world to me and my family! I would like to thank Lubica, my mom’s aide who kindly and practically dealt with my mom’s agitation, and gave great care at all times. She was so committed to my mom. I also want to commend those I felt performed beyond expectations. So, add Carol to the list..a real observant caregiver picking up on subtle changes in my mom, and acting accordingly. Smart cookie! And gentle, cheery, Anna, bringing her little coffee pot in the morning and brewing a pot to share with my mom. Lisa, daughter of Nancy T.